We talked before about a few of the ways that martial arts for kids can help them get through awkward times associated with growing up fast. 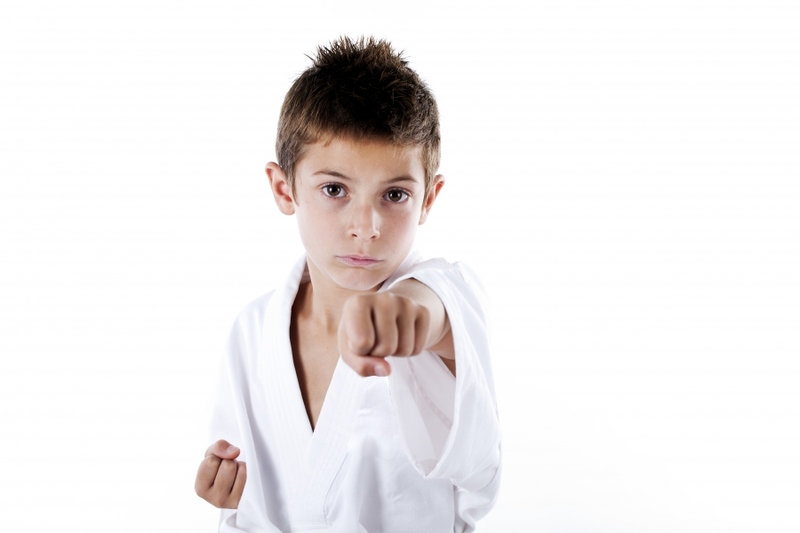 Here are a few more reasons why taking a kids martial arts class might be for them. Defense – It’s certainly one of the unfair certainties of childhood: not everyone starts maturing at the same time. Some kids shoot up tall while others are left behind with their “baby fat.” Unfortunately, bullying can be an issue whether the kids are the same age or different. Martial art training for kids can offer kids not only the ability to defend themselves, but also the training on knowing when to defend themselves. While we can teach kids to go on the offense when they’re in a competition, defense is something we teach for the real world. Evasion – Evasion in this case means avoiding the conflict in the first place. One of the ways this can happen is simply being in a kids martial arts class in the first place. When other kids find out, they’re more likely to avoid messing with your child in the first place. We also make sure to instill in kids the times that it’s okay to fight and when it’s not. Restraint can be the key to defending yourself and still being in the right. Confidence – When a child knows that he or she is in control (or can be in control), it makes them stand taller. Standing taller actually sends signals to the brain that make it more confident, so it’s positive and growing feedback that just makes your child more and more confident. When kids are going through an awkward time, finding the mind / body connection can help them stay calm when tough times arise. Check out our kids martial arts schedule here.